Cover Reads: "It's Not My Fault! 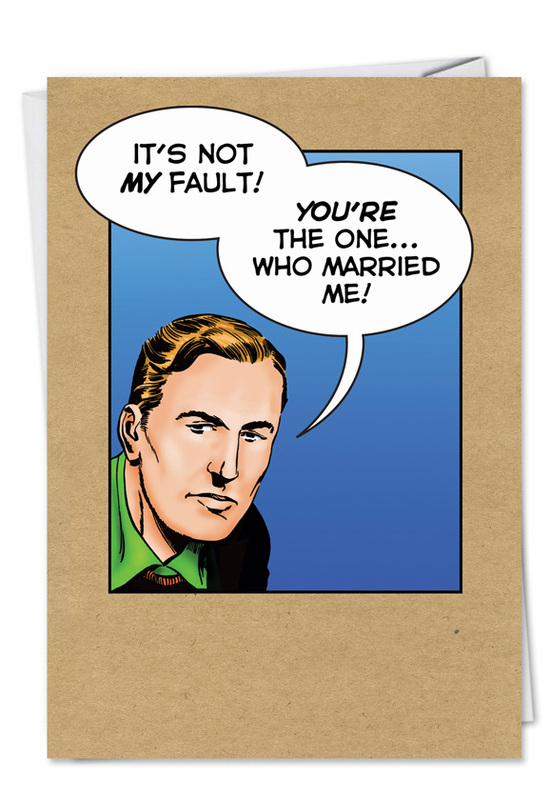 You're The One� Who Married Me!" 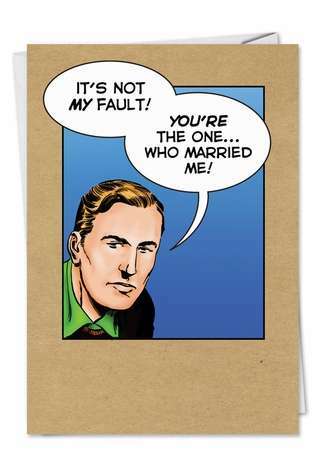 You'll be the first to admit that you aren't the easiest person to deal with, but hey, she's the one who married you! When the things that once seemed like charming quirks turn into everyday annoyances, that's when your marriage really starts to get interesting. 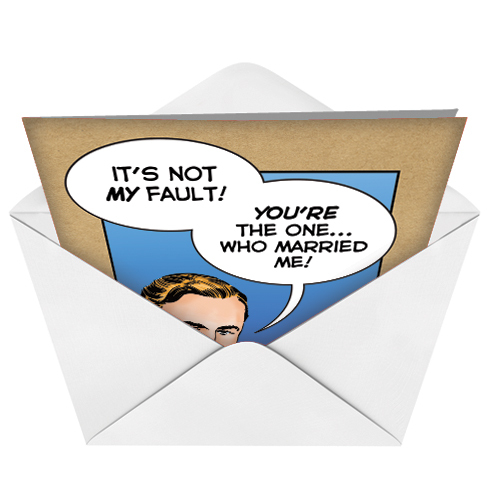 Show her your appreciation for her effort and your great sense of humor with this sweet and silly anniversary card from NobleWorks Cards.